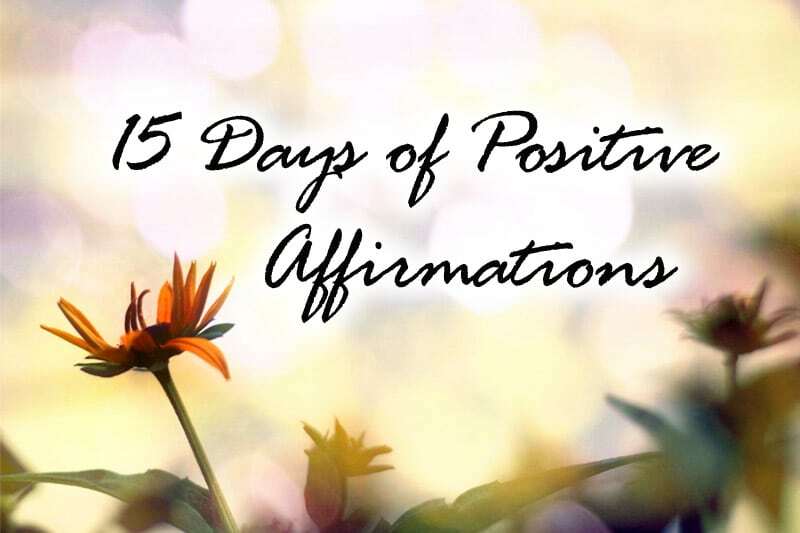 This is Day 12 of the 15-Day Affirmation Challenge where hundreds of participants around the world gather to practice positive affirmations for 15 days in July 2014. The challenge is now over, but you can do the tasks in your own time. Visit the overview page for all Affirmation Challenge tasks and posts. Have you ever had problems with money before? Some form of worry about money, even if in a little way? Be it not having enough pocket money to buy your favorite stationery when you were in high school; to budgeting for a major goal like your apartment rental, wedding, or first house; to worrying about whether you have enough savings to pull you through for the next month, all of us have had our share of money concerns. For some of us, our money woes may have started from when we were young, from being born in a financially constrained household. For others, our money woes may have started as we grew older and started having needs that outweighed our financial earning prowess. Because of the increasingly important role that money plays in our society today, it’s no wonder that so many of us have negative thoughts and emotions surrounding money — be it ad-hoc worries or general negativity toward money itself. For example, back in the 1970s, my mom could buy a bowl of Wanton mee for only 10 cents. People could also buy a four-room unit from HDB (Singapore’s Housing Development Board) for just $20,000 SGD. At that time, a graduate’s starting pay was about $1,000 per month. Well, today, merely 40 years later, a graduate’s starting pay has only doubled (for a typical graduate) to tripled (if you’re a strong contender), but Wanton mee and housing prices have increased by over 25 times (ouch)! Order a bowl of Wanton mee in a hawker center and it’ll easily cost you $2.50 to $3.00 (to over $4 if you eat at the food court), while a four-room resale unit in Serangoon area can easily cost you $500,000 (that’s half a million!). And I’m sure such rapid inflation can be observed in other countries too, especially developed areas. If I didn’t need to deal with money, my life would be stress-free. I don’t need a lot of money to live. I don’t know how to earn money. Select whichever belief(s) that resonate with you; write more if you like. For example, someone who always thinks, I hate money, may be doing so because he/she has always struggled with money as a kid and has never been able to keep his/her money in his possession. However, does it justify having such a belief though? Maybe the issue is his/her lack of good financial habits, not money itself! I hate money. -> I love money. Money is the root of all evil. -> Money is just a neutral agent; it is what we make out to be. It’s not evil. If I didn’t need to deal with money, my life would be stress-free. -> Money has nothing to do with my stress. If money is giving me stress, then it’s about learning to handle it objectively and well. I don’t need a lot of money to live. 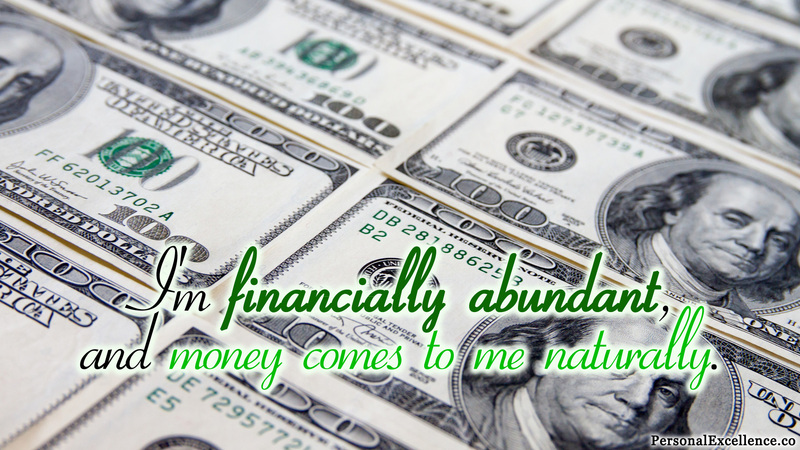 -> Regardless of my living needs, having more money allows me to make greater change in this world. I don’t want to be rich. -> I want to be rich (so that I can pursue all my goals and dreams with no constraints)! I don’t know how to earn money. -> Earning (a lot of) money is a skill that anyone, including me, can learn, starting today. Negotiate with my boss for a 10% raise as I’m currently being paid lesser than the industry average. (Income goal) — Note by Celes: In case this sounds crazy, PE reader and my personal friend Lizette has time and again negotiated for a higher pay from her company. How? By simply knowing her rights, knowing the industry standards, and knowing how to present her value artfully to her company. Here are some salary negotiation pieces that may help: How to Negotiate Your Salary @ Huffington Post | Forbes. PS: We’ve been doing a lot of mini-goal-setting for our life areas in the Affirmation Challenge. In Live a Better Life in 30 Days Program (30DLBL), the premium 30-day life transformation program at PE, you will get to work on LONG-TERM goal-setting: from envisioning your IDEAL life; to creating your life map filled with your five-year, three-year, and one-year goals; to creating your action plan to realize said goals. As opposed to the micro-life-planning which we’re doing in the Affirmation Challenge, 30DLBL is designed to help you plan out the macro-aspects of your life. If you don’t have 30DLBL yet, be sure to check it out!